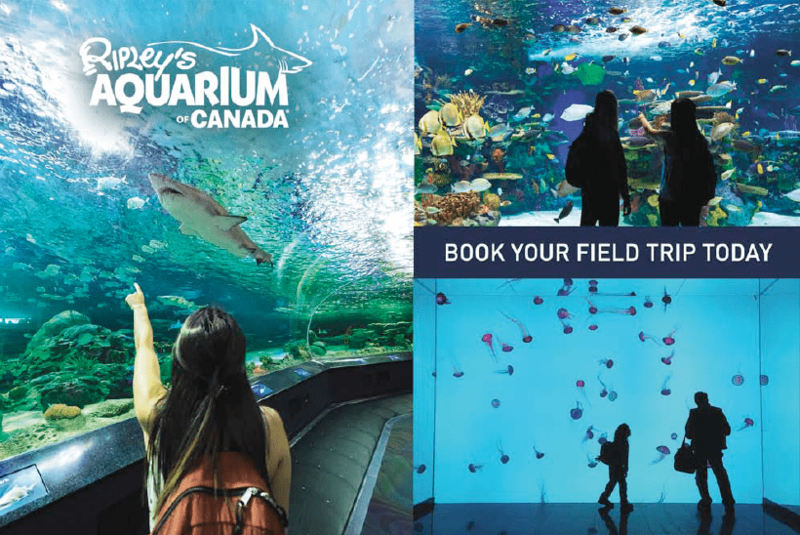 Ripley’s Aquarium of Canada is an unforgettable learning destination for children, youth and adults. Our mission is to provide a top quality, world class aquatic life facility that will foster environmental education, conservation, and research, while simultaneously providing entertainment for visitors of all ages. We are the first and only aquatic facility of its kind in Ontario. Our suite of school programs offers a range of interactive and exciting options that are designed to meet Ontario Ministry of Education curriculum standards and provide participants with a deeper understanding of the aquatic world and the importance of environmental protection and conservation.